The world’s largest aircraft took off over the Mojave Desert in California. 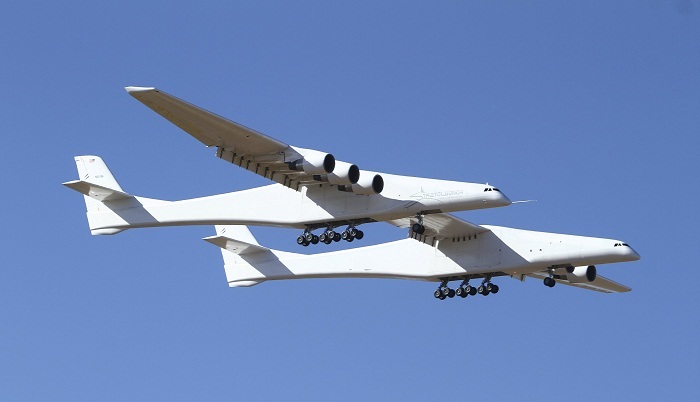 The first flight for the carbon-composite plane built by Stratolaunch Systems Corp, started by late Microsoft co-founder Paul Allen, as the company enters the lucrative private space market. The white airplane called Roc, which has a wingspan the length of an American football field and is powered by six engines on a twin fuselage, took to the air and stayed aloft for more than two hours before landing safely back at the Mojave Air and Space Port as a crowd of hundreds of people cheered. What is the purpose behind? The plane is designed to drop rockets and other space vehicles weighing up to 500,000 pounds at an altitude of 35,000 feet and has been billed by the company as making satellite deployment as easy as booking an airline flight.